Jam with Claire Caldwell at Rhyme Stew Crew! What do you get when you combine Dennis Lee and Jay-Z? The kind of inspired mash-up of gorgeous words and infectious beats that kids aged 4-12 create at our popular rap-poetry workshop Rhyme Stew Crew. After the poet Claire Caldwell guides young writers through the steps of setting a classic children’s verse, like Alligator Pie, to vintage hip hop beats, they can create and share their own rhymes. We’re partnering with East End Arts on a pop-up project for city builders aged 4-12 who want to experience the 2019 Winter Stations festival, on Sunday, March 24th. 1pm. FREE. No sign-up. Just show-up, at the Foot of Woodbine, on the Beach. After a guided tour of the installations on the beach, kids can envision and build their own miniature Winter Station using recycled materials and craft supplies at the activity pop-up. Kids will also be invited to act as media observers. Aspiring reporters can write and draw mini-articles for the newspaper of record, The Mouse City Times. Join Us at Mouse City Cloverdale! We’re partnering with Cloverdale Mall on a series of community engagements. Our Director of Urban Planning Education, Alexander Furneaux, will run a special edition of Mouse City, our popular model city-building program, as a way of gathering public feedback about the redevelopment of the mall by Quad Real. 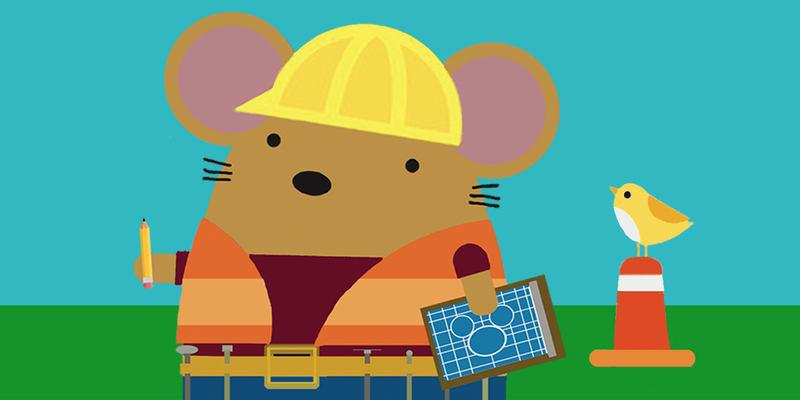 Mouse City Cloverdale takes place on Saturday March 9th, 11am -2pm, at the Cloverdale Common located within the mall. FREE Admission. No registration required. 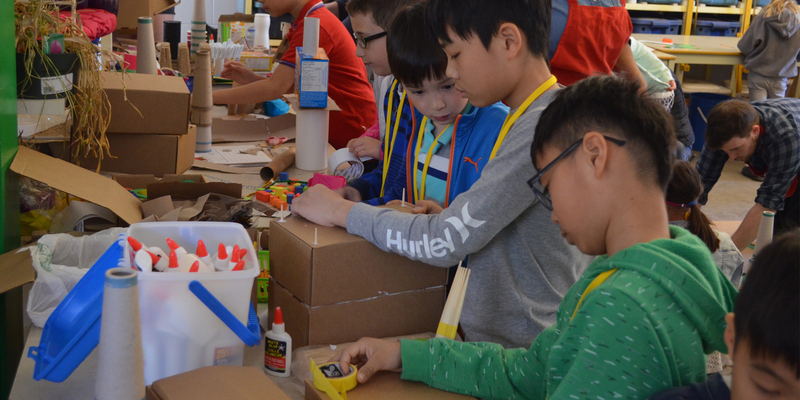 During Mouse City Cloverdale, aspiring builders aged 4 to 12 will construct a model neighbourhood on the site of Cloverdale Mall using recyclable materials to create the buildings and public spaces they wish to see in their city. Participants will also have the opportunity to act as reporters for the Mouse City Times, writing and drawing stories about what they think life in the new community might be like. Ideas and opinions generated from the event will be prepared in a report by Small Print Toronto and delivered to QuadReal to assist them in the redevelopment process. This event is specifically tailored for families with children between the ages of 4 and 12 but everyone is welcome to take part. Recyclable materials will be provided for participants to use to create their vision. HOWEVER we encourage participants to bring cleaned recycled materials to add different textures and explore different ways of building. Children must be accompanied at all times by a parent / guardian. BAM! POW! ZAP! Everyone knows that superheroes can come in all shapes and sizes. What does it take to be a superhero today? Writers aged 6-9 can invent their own superheroes with Tim Walker and Chris Reed at our DIY Superhero Lab on Saturday, March 2, between 10am-noon at The 519 ((519 Church St). FREE with RSVP. Sign up here. The session will focus on the one thing that superheroes from The Avengers to The X-Men have in common: an incredible origin story. DIY Superhero Lab is presented in partnership with The 519’s Kids Action and Arts Space program for Two Spirit, Queer, Trans, and gender nonbinary kids, and the kids of queer and trans families. Renowned illustrator Qin Leng (centre) unveiled her picture book debut I AM SMALL at our 11th annual Totsapalooza, with Fay & Fluffy’s Drag Queen Story Time (top left), author Emil Sher (top right), and indie rock all-stars The Woodshed Orchestra (bottom), on Saturday, February 2 at Revival. Watching Qin draw a character and choreographer Ann-Marie Williams (bottom, middle) bring it to life through movement was positively magical. So too were Wanda’s-Pie-in-the-Sky Bakery‘s treats based on Qin’s pictures. Photos by Jenn Catanzaro. For more photos, click here.